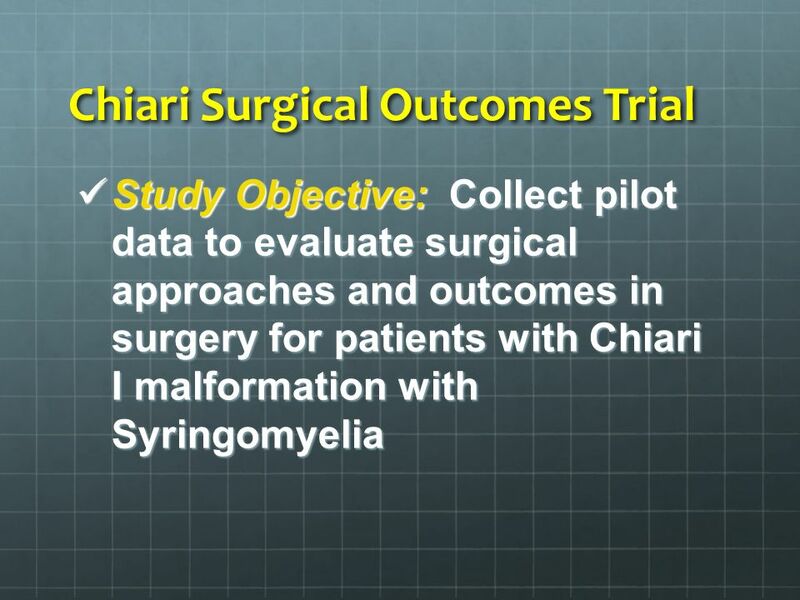 Chiari Surgical Outcomes Trial PI: Bermans J. Iskandar and Timothy George with collaboration from John Kestle ASAP-funded pilot study ASAP-funded pilot. 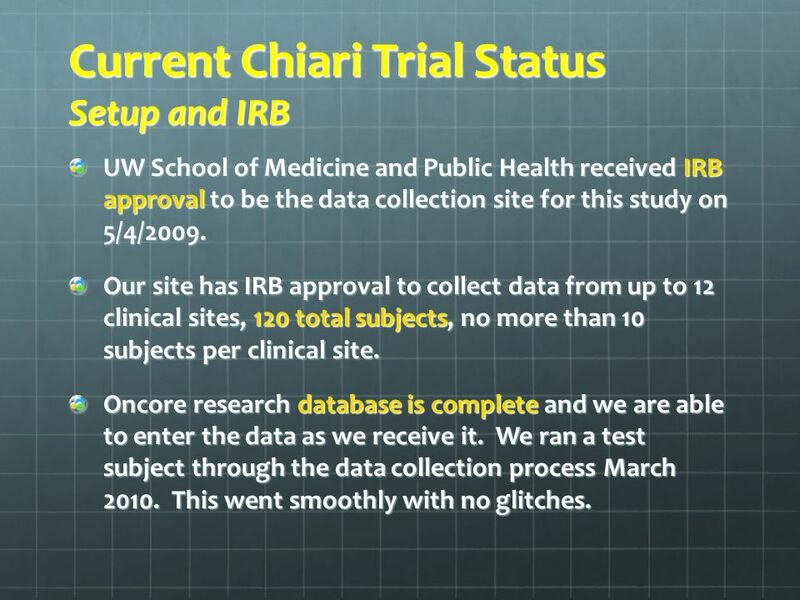 14 Current Chiari Trial Status Setup and IRB UW School of Medicine and Public Health received IRB approval to be the data collection site for this study on 5/4/2009. 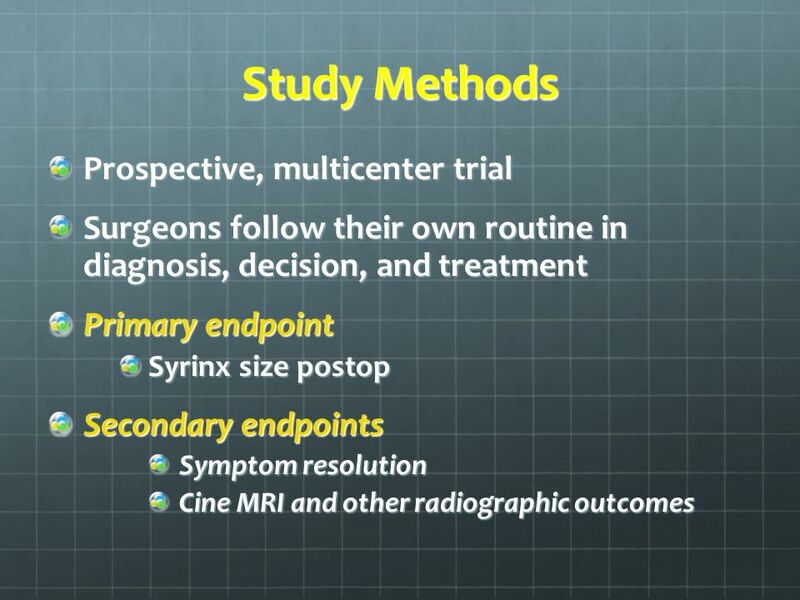 Our site has IRB approval to collect data from up to 12 clinical sites, 120 total subjects, no more than 10 subjects per clinical site. 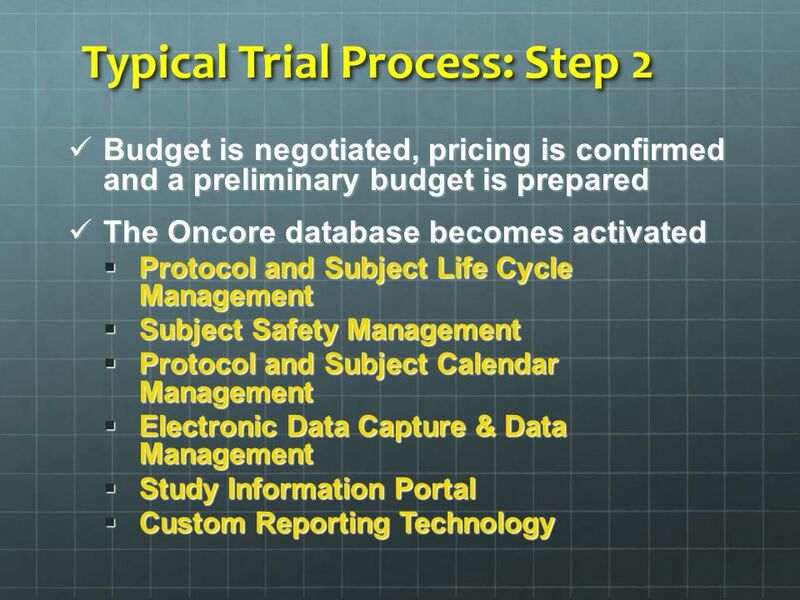 Oncore research database is complete and we are able to enter the data as we receive it. 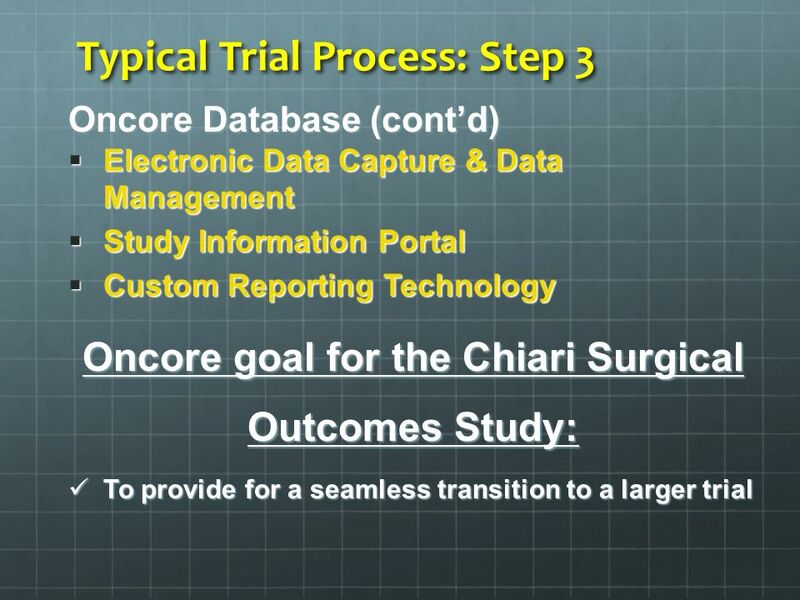 We ran a test subject through the data collection process March 2010. This went smoothly with no glitches. 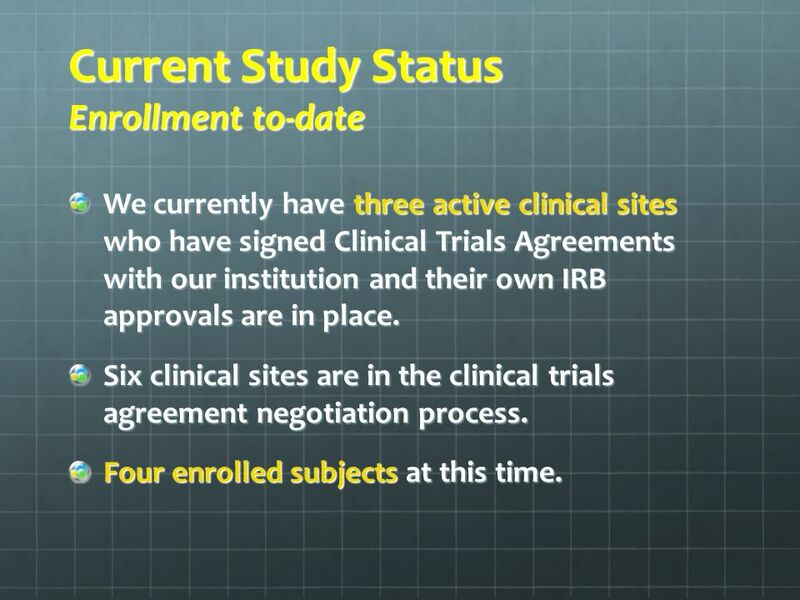 15 Current Study Status Enrollment to-date We currently have three active clinical sites who have signed Clinical Trials Agreements with our institution and their own IRB approvals are in place. 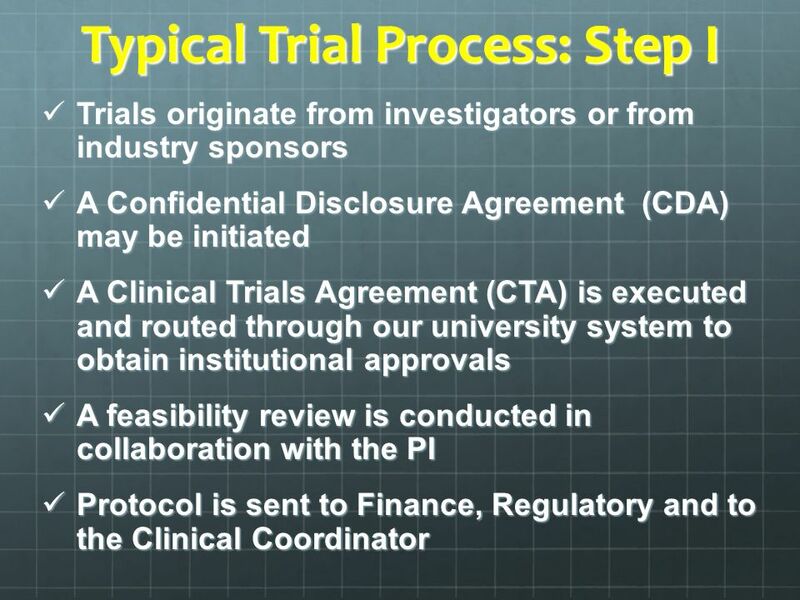 Six clinical sites are in the clinical trials agreement negotiation process. Four enrolled subjects at this time. 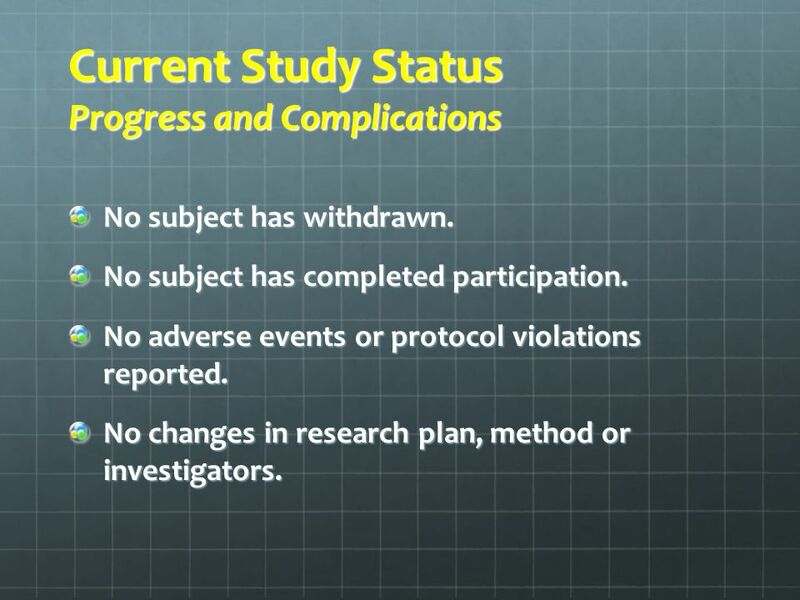 16 Current Study Status Progress and Complications No subject has withdrawn. No subject has completed participation. 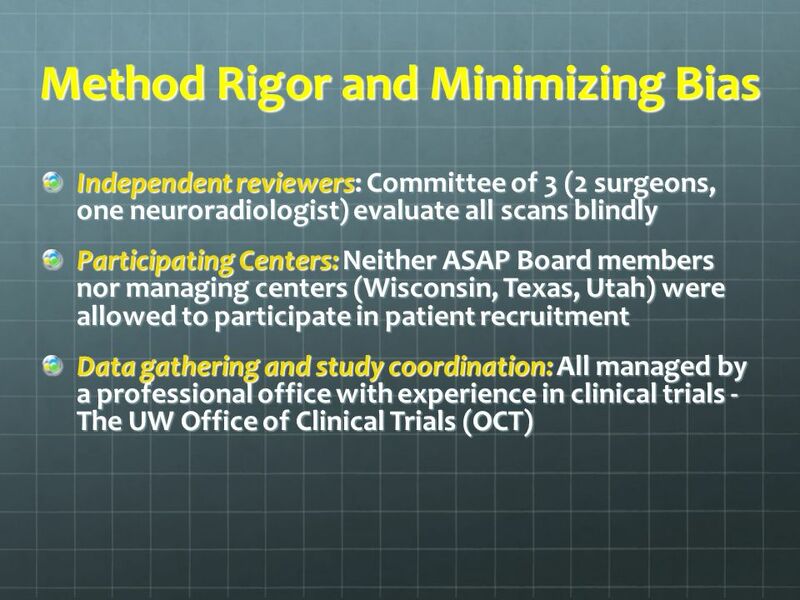 No adverse events or protocol violations reported. 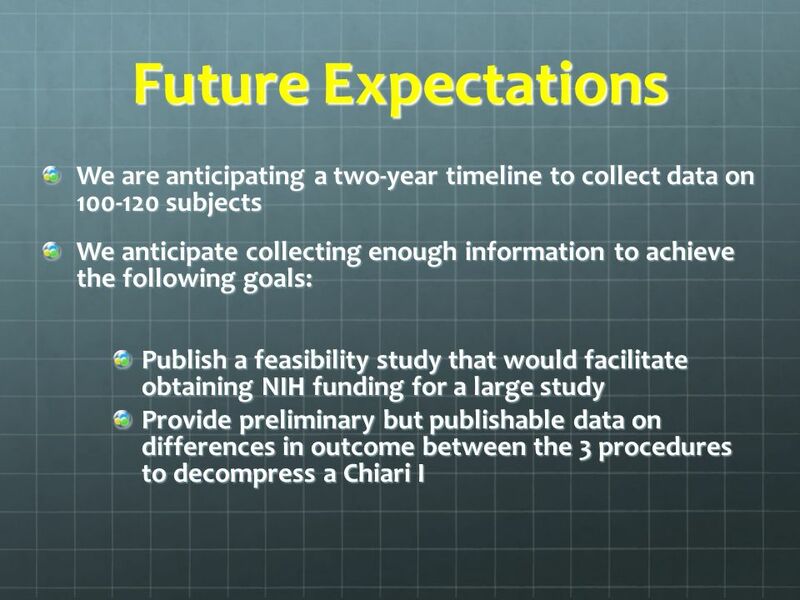 No changes in research plan, method or investigators. 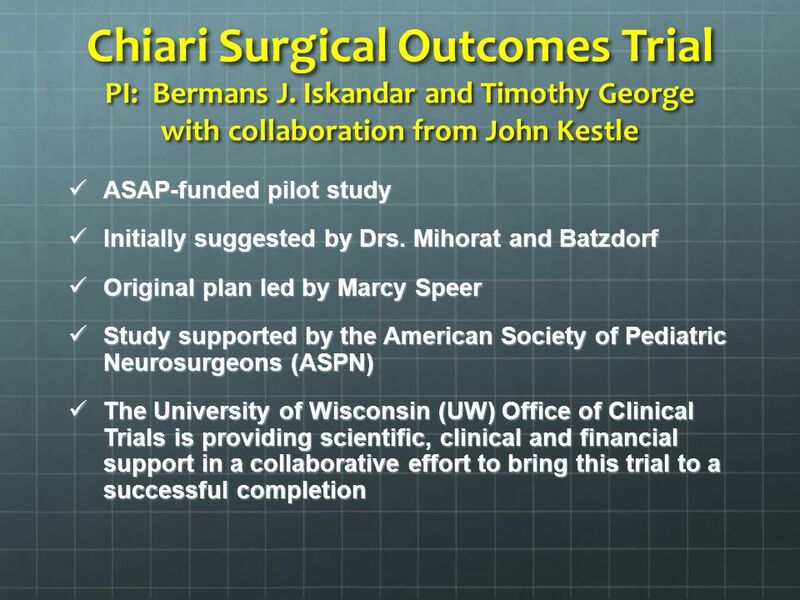 Download ppt "Chiari Surgical Outcomes Trial PI: Bermans J. Iskandar and Timothy George with collaboration from John Kestle ASAP-funded pilot study ASAP-funded pilot." 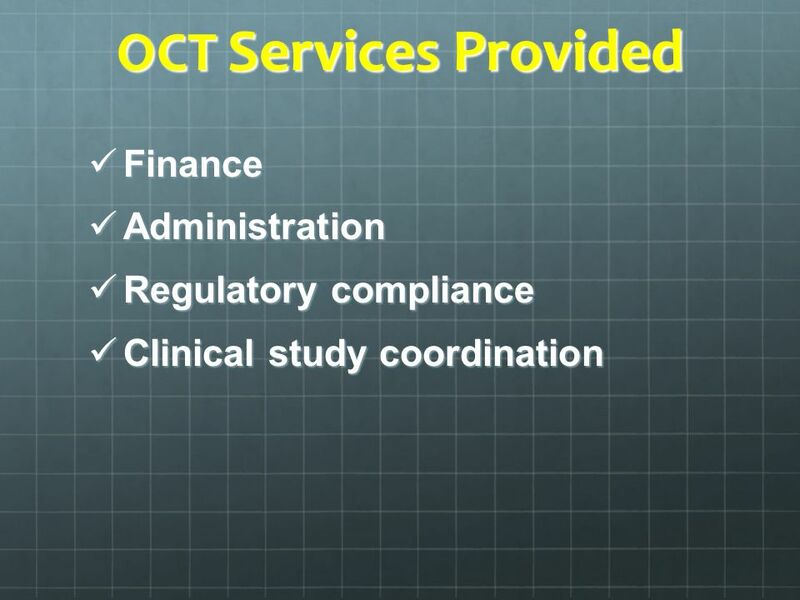 USC Clinical Trials Office (CTO) Answers to CTOs who, what, when, and how questions Soheil Jadali Director, Clinical Trial Office. 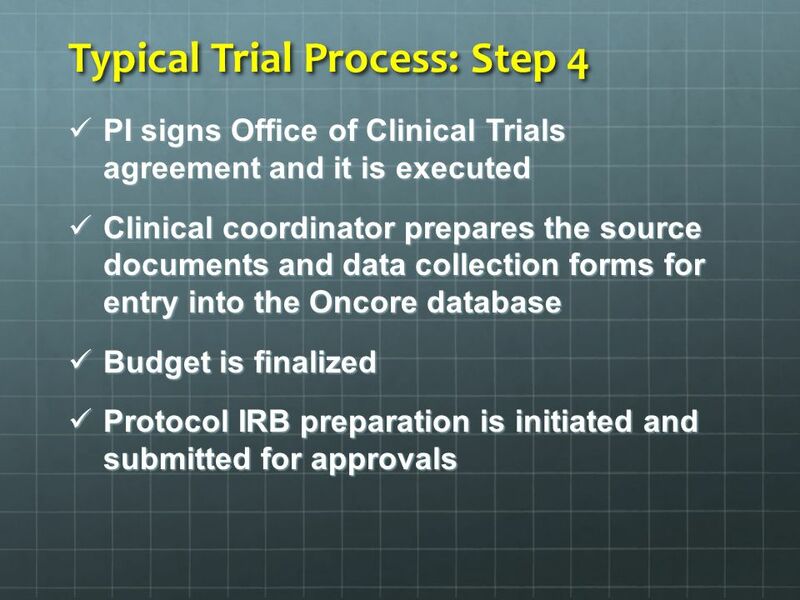 Building A Clinical Trial Budget The Vanderbilt Way Lynda Lane, MS, RN Administrative Director, GCRC. USC Clinical Trials Office (CTO) Submitting your Studies to CTO For Processing Soheil Jadali Director, Clinical Trial Office. 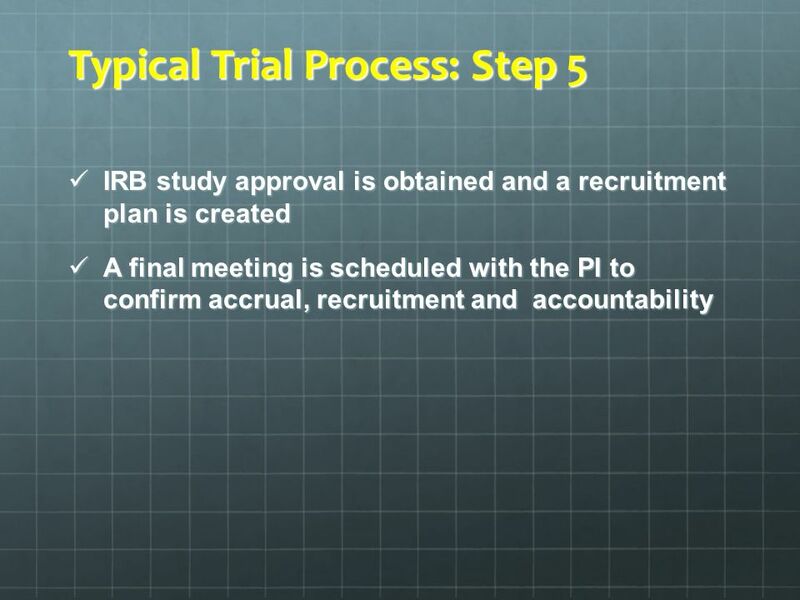 Research Study Initiation Process GRU CLINICAL AND TRANSLATIONAL RESEARCH LABORATORY RESEARCH ANIMAL RESEARCH HUMAN RESEARCH GRU Clinical. New Faculty Orientation September 21, 2010 Mark Stacy, MD Associate Dean of Clinical Research Professor of Neurology Site Based Research at Duke. February 8, 2007 Research Administration: University of Michigan Business & Finance Forum Marvin G. Parnes Associate Vice President for Research & Executive. November 10, Office of Research Administration: Clinical Research Contracting Presented to: Research Administration Professionals Group Patricia. Coordinator University Clinical Research Pharmacy Investigational Drug Service (IDS) Marjorie Shaw Phillips, MS, RPh, FASHP Clinical Research Pharmacist. 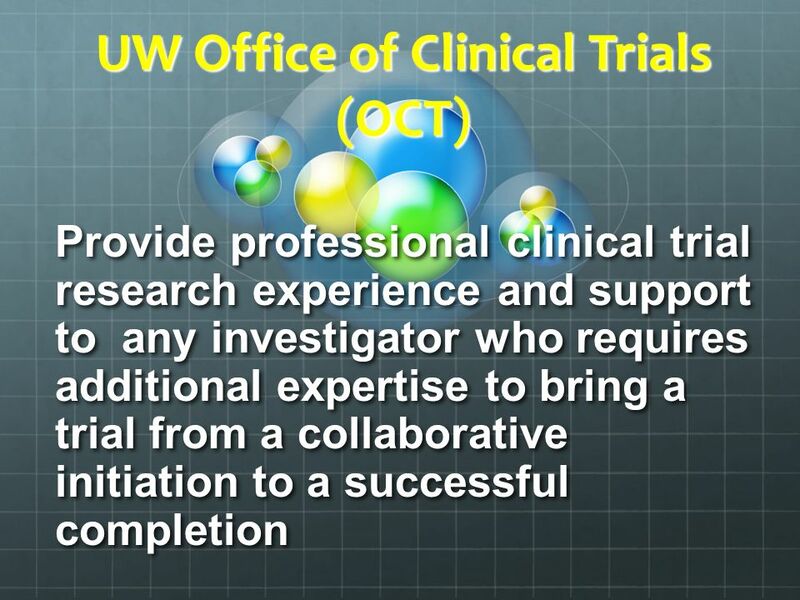 NCI Clinical Trials Reporting Program CTRP User Meeting May 2, 2012 Gene Kraus CTRP Program Director. 11 February 2008NLM BOR WG on Clinical Trials1 Clinical Trials Registration and Results Reporting: Legislative Requirements Jerry Sheehan Assistant Director. 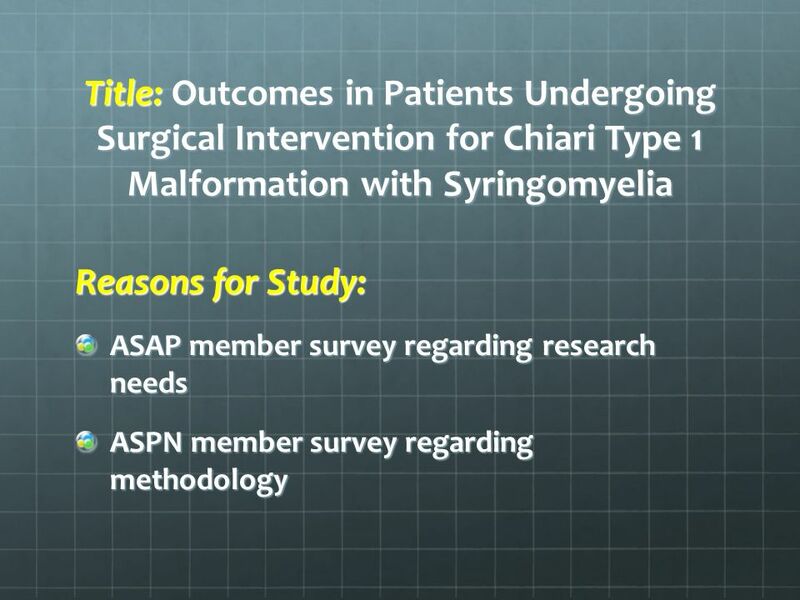 Adverse Events, Unanticipated Problems, Protocol Deviations & other Safety Information Which Form 4 to Use? Managing Research Finances: Successful Strategies for Viability and Compliance July 29, 2006 M. Paul Wade, Jr., MS Financial and Contracts Compliance Officer. End User Changes GO LIVE May 13, 2010 PS Grants Implementation.